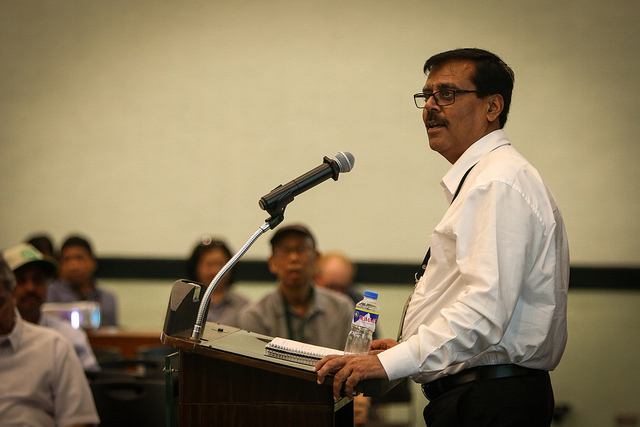 IRRI is pleased to announce that starting 1 February 2019, Dr. Arvind Kumar will serve as the Director of IRRI South Asia Regional Centre (ISARC), located in Varanasi, India. ISARC is IRRI’s regional facility in South Asia that strengthens the national research capacity of rice-growing countries in South Asia and sub-Saharan Africa in crop production, seed quality and nutrition, and to enhance farmers’ knowledge and income. In this critical role, Dr. Kumar will manage the overall operations of the Centre, including the development of its business plans to achieve IRRI’s strategic goals, and set its specific future strategic direction to ensure the Centre’s alignment with the vision and goals of IRRI. He will spearhead initiatives to ensure the excellence and consistency of research activities in the regional centre and act as external and national presence that communicates program results to regional and national platforms. Most importantly, he will be in charge of leading team members in building new partnerships with donors and community leaders at the Varanasi site. 4 December, Varanasi, Uttar Pradesh - IRRI’s strengthened regional presence accelerates the development of higher-yielding, healthier, and stress tolerant rice varieties that appeal to local market preferences and secure a higher premium for farmers. 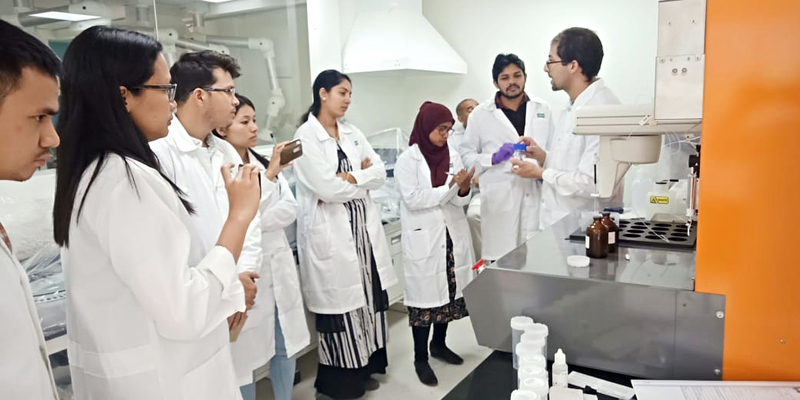 IRRI-South Asia Regional Centre (IRRI-SARC) in Varanasi, Uttar Pradesh, India held its first technology training on advanced technologies to evaluate specific nutritional properties of food grain and food products. The International Rice Research Institute (IRRI), with support from the Department of Agriculture (Government of Odisha), is implementing a 5-year project that aims to increase the productivity and income of farmers in 30 districts of Odisha, using cutting-edge, scientific agricultural technologies and innovative delivery systems. To achieve said goals, five key areas of impact were identified -- Strengthening seed systems; Efficient management of rice fallows; Raising productivity & profitability for farmers using Rice Crop Manager (RCM) by more efficient use of inputs; Enhancing farmer access to knowledge and technologies through Rice Knowledge Bank (RKB) and Rice Doctor; and satellite-based rice crop monitoring for seamless claim settlement using geographic information systems and science-based crop insurance. Collective action is becoming increasingly popular for effective planning and successful implementation of development work. Farmers’ cooperatives are meant for collective action and effective farmer engagement in agricultural activities aimed at increasing crop yield and profit from farming. 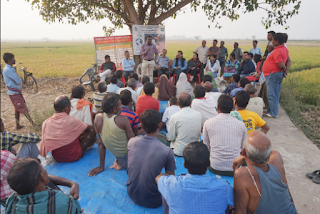 The Budhan Farmers’ Multi-Purpose Cooperative, situated in Barabardiya Municipality Ward Number 5, in the Bardiya District, organized a one-day interaction program on 2 November 2018 with farmers, experts, scientists from the International Rice Research Institute (IRRI) and Nepal Agricultural Research Council (NARC), as well as Nepalese government officials and authorities from federal, provincial, and local governments. The International Rice Research Institute (IRRI) and the Asian Development Bank (ADB) are working together to advance direct seeded rice (DSR) technology and practices in Nepal, to help rice farmers reduce the costs of production while increasing rice production and promote environmentally-sustainable cultivation. Rice is Nepal’s dominant crop, grown nearly in 1.5 million hectares. Major constraints to productivity include water scarcity, limited suitable land, and shortage of labor. In labor alone, most of the work is done by hand, with manual transplanting, weeding, and harvesting activities requiring up to 90-100 mandays per hectare land. This is equivalent to about NPR 36,800 of the total cost of production excluding other inputs like seed and fertilizers. Kolkata, INDIA— IRRI, through its market analysis research, gains a better understanding of consumer food choices in order to support behavioral change communication programs that aim at nudging consumers to healthier food choices in rice-based diets. 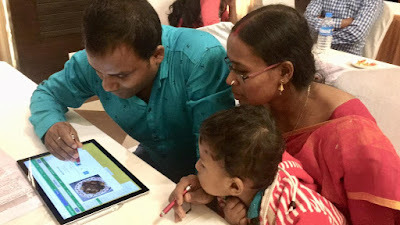 According to IRRI senior economist and leader of the “Behavioral Drivers of Food Choice in Eastern India” (DFC) project, Dr. Matty Demont, behavioral experiments among randomly selected Indian households from Kolkata, Siliguri and rural West Bengal are currently being conducted. Respondents are exposed to several incremental levels of nutritional information on healthy diets through a Behavioral Change Communication (BCC) broadcast featuring renowned nutritionist Dr. Anindita Ray (Chakravarti) from Maharani Kasiswari College, Kolkata. Participants are then invited to plan their weekly household meals through an interactive app (similar to the investment game application) which captures the rich diversity of day-to-day food choices in West Bengal.